Dselva offers clients to design, develop and integrate applications and solutions based on the ASP.Net technology company. Our team develops and delivers comprehensive solutions utilizing the full capability of Microsoft .NET functionality. 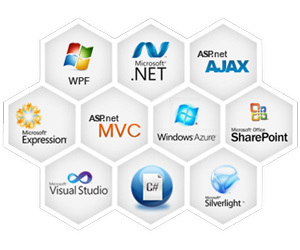 ASP.Net is a framework for Web Application Development, provided by Microsoft. This platform allows developers to develop dynamic web applications. Developers in our team have extensive experience of carrying out complex and large scale web applications for various industries. The ASP .NET Framework is Microsoft’s comprehensive platform for .Net web application development which hosts a plethora of features blended with a visually stunning user experience. It also provides seamless and secure communication, and the ability to replicate a huge range of business processes. Development frameworks India – reusable and customization modules for high level programming. With ASP.Net you can partition your code with more than one language, which gives the .Net developers the independence of using the language they feel more comfortable with. Developing Use Cases, Class Diagrams, Sequence Diagrams etc. Database to Object mapping technique.